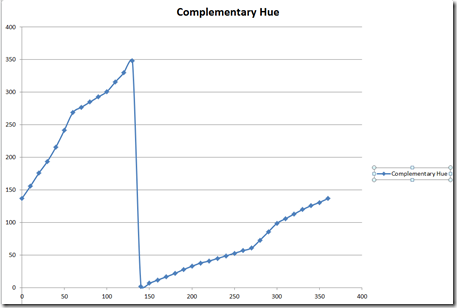 In the first post, I mentioned two subjects that I will be using in this example – constants, and color functions. I’ve always enjoyed using online color scheme utilities such as Adobe Kuler or Color Scheme Designer to come up with a scheme based off of one primary color. Using these tools, and requesting a complementary scheme you can get a couple of shades of your primary color, and a couple of shades of a complementary/accent color to display. Because there is no way in regular css to do color operations or store variables, there was no way to accomplish something like defining a primary color, and have a site theme cascade off of that. However with tools such as LESS, that impossibility becomes a reality! So, if you haven’t guessed it by now, this post is on the creation of a plugin/module/less file to drop into your project, plugin one color, and have your primary theme cascade from it. I only went through the trouble of creating a module for getting Complementary colors. However, it wouldn’t be too much trouble to go through other options such as Triad or Monochromatic to get a module that you could use off of that. 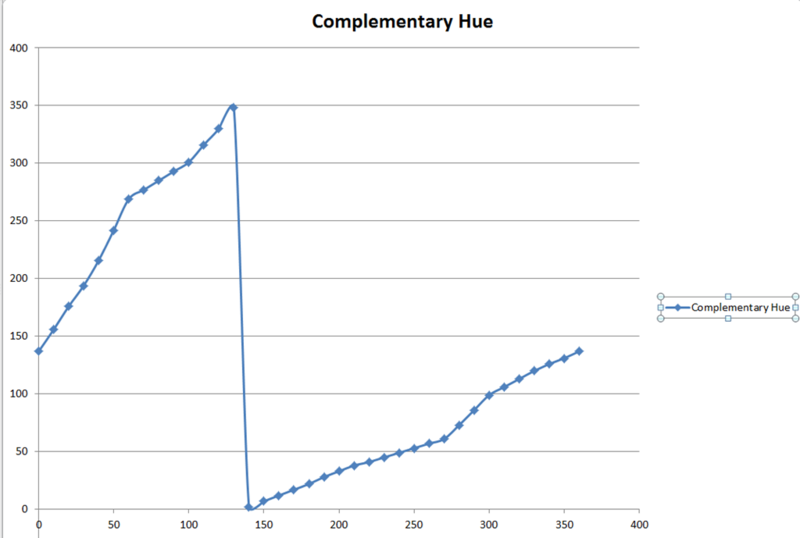 Long story short, I completed the same calculations for Hue, Saturation, and Lightness. For Hue, I only had to record the Complementary hue values, however for saturation and lightness, I had to record the values for ALL of the shades. Since the functions were too complicated to put into LESS since they aren’t constant/linear, but rather interval functions, I instead opted to extrapolate the HSL values using the trendline function for each major interval, onto intervals of spacing 1. Saturation and Lightness were much worse, but in the end, I finally had functions for all of the intervals, and then went the route of just grabbing each shades value in intervals of 1. In the end, I have 973 lines of mapping/conversion from source HSL to shade HSL for two extra primary shades, and two complementary shades. The last bit of the work was the file to compose each of the shades from these mappings. The final step was the hardest to overcome as I was still trying to understand LESS to its fullest extent. Here, you can see a couple of odd things… On the first line, I am using operations to add units to the saturation and lightness. This is due to some limitations in the operations that would give me saturation or lightness in %, which can’t be in a variable name. So, I use first add 1px to it, which casts the result of the following functions as px instead of %, and then at the end, I remove that pixel. You can also see here the formatstring method which is exactly what it sounds like – something like String.Format(string str, params object obj). Well, after I got the colors, I decided I wanted to also get the best font color that would go on top of it. Black or white depending on light or dark color. Now I couldn’t just go with checking the lightness, as that is half the story. You see, the human eye doesn’t see ALL colors equally well but rather has more cells for interpreting green light compared to blue or red. So, using the ratio, we can calculate the perceptive luminance of each of the shades, and get the font color that best matches it! That’s it! I have posted a project on clrizr.codePlex.com for this, and included a testing page for you to test out how it works. Feel free to use it in your own project, and if you have any questions, comments or suggestions, please feel free to leave them here as a comment, or on the contact page!